Migrant returnees now have the chance to be linked to available job opportunities in the country simply through a mobile application software. Ethiopia is making efforts at providing job opportunities for its citizens that have returned from abroad without jobs. Migrant returnees now have the chance to be linked to available job opportunities simply through a mobile App. Dubbed the SIRA app, the initiative a collaboration between 251 Communications and Marketing PLC and the International Labour Organisation, ILO. Chief Executive Officer of the 251 communications Addis Alemayehou says “the move is a step in helping the job situation which is critical; but it is also 100% developed in Ethiopia”. 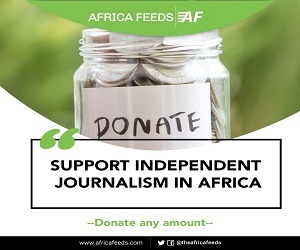 He says the app should complements ongoing psychosocial, social and economic assistance offered by the ILO. The ILO with the backing of the Ethiopia’s Ministry of Labour and Social Affairs (MOLSA) has been providing returnees reintegration opportunities. Chief Technical advisor at the International Labour Organization Aida Awel says “We are confident that this application will address the gap in the demand and supply side of low and medium skilled labor, reduce the cost of recruitment and allow returnees to seek out employment opportunities that best suit their needs”. The SIRA App allows employers to post vacancies and search for potential candidates, while job seekers can search or subscribe for job alerts, and upload and update their information on the platform. The app also takes into consideration the educational levels of users, and supports Amharic and English languages. While it works in setting of limited internet access, the app can also be used offline. That will enable employers and job seekers access to previously downloaded data. 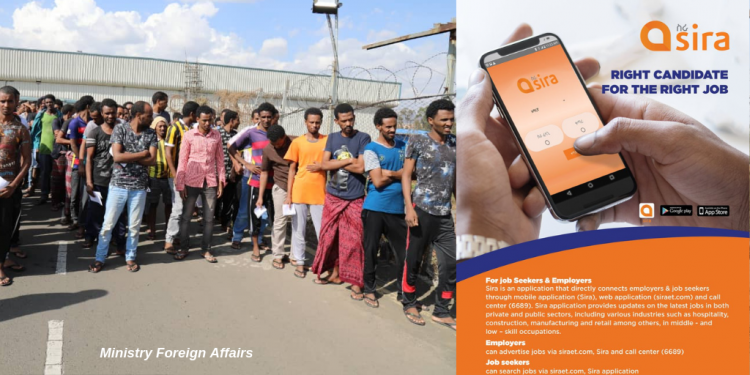 Ethiopia says the SIRA App will be the first direct connection between employees and job seekers to address unemployment. The App should also address the mismatch between job seekers and employers focused on low and middle skill occupations. It will also facilitate returnees and other members of the community to easily have access to suitable and decent job opportunities. There are many Ethiopians stranded in foreign countries and unwilling to return home due to lack of economic opportunities. Currently the Ethiopian government is in the process of finalising preparations to repatriate 2,400 Ethiopians from Saudi Arabia.